Precious for good health and very tasty too Coupled with grain, as in “pasta and chickpeas,” they are a complete food source. Their myriad properties make them precious allies in maintaining good health. Chickpeas, like all legumes in general, have always played a very important role in the Mediterranean diet. Also known as “meat of the poor”, they are a valid ally for those who follow a low calorie diet, because they are very rich in plant proteins with a high fiber content and have high satiating power with a relatively moderate caloric intake. Legumes and grains (or their derivatives) are a perfect match. In fact, grains have an amino acid composition that is complementary to legumes, because they are low in lysine but rich in sulfur, amino acid, and tryptophan. This means a serving of pasta and chickpeas can take the place of a piece of meat. The fiber contained in the chickpeas has the ability to regulate intestinal functions and at the same time helps maintain balanced blood sugar levels. Also, chickpeas do not contain gluten and are therefore particularly suitable for people with celiac disease. 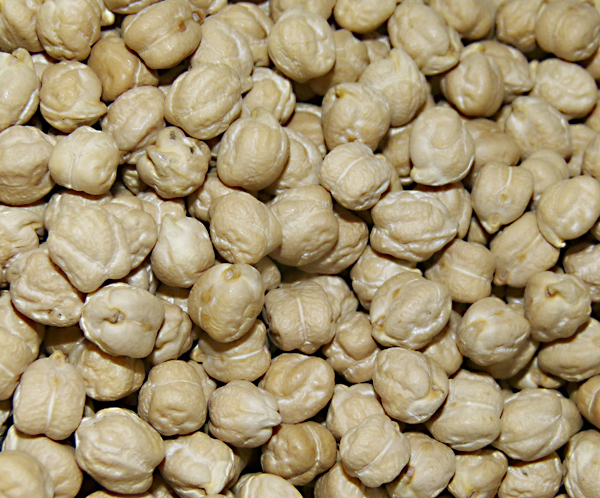 Chickpeas are a complete food and energy source that contains many carbohydrates, proteins, fiber, minerals such as calcium, iron, potassium, phosphorus, and vitamins A, B, and C. They are richer in fat than other legumes and therefore offer a more balanced distribution of macronutrients. Because of their high protein power, they can be used in diets which do not include the use of animal proteins, as a meat substitute. Thanks to their diuretic properties, they help eliminate uric acid and excess salt and facilitate the expulsion of urinary calculi. They are quite rich in omega-3 essential fatty acids and thus help maintain health and prevent cardiovascular disease, and help keep our arteries are clear. Chickpeas also have the ability to lower levels of “bad cholesterol” (LDL) in the blood and so they play a protective role in regards to the heart. These beneficial effects are due to the presence of magnesium and folate, and folate in particular has the ability to lower levels of homocysteine (an amino acid) which, if present in excessive amounts in the blood, increases the chance of heart attack and stroke or peripheral arterial disease (scientific study published in the journal Annals of Nutrition and Metabolism, edited by Dr. Madeleine J. Ball, of the School of Human Life Sciences, University of Tasmania - Australia). Folate, which is part of the B vitamin group, when taken in proper doses, could decrease by 10% the number of strokes that occur each year in the U.S. alone and a dish of chickpeas can itself supply 70.5% of the recommended daily intake of folate. Magnesium, on the other hand, improves blood circulation and brings more oxygen and nutrients to cells and tissues: When this mineral is scarce, the body runs a greater risk of succumbing to a heart attack. The fight against cholesterol in the diet can be easily won, by regularly eating a nice dish of chickpeas. 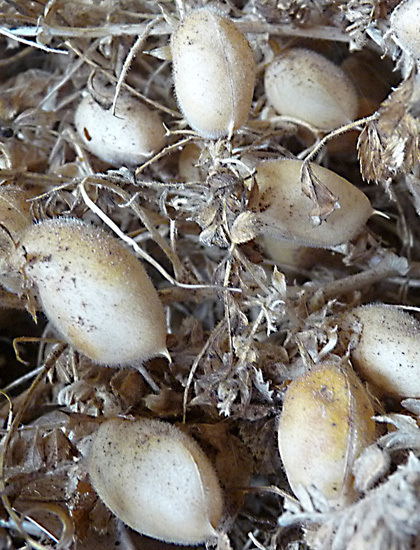 Despite these commendable features, chickpeas are among the least-consumed legumes in Italy, perhaps because they can be a little difficult to digest due to the cellulose they contain, and they are, therefore, not recommended to those who suffer from stomach or intestinal problems or colitis. However, a consumer can enjoy them with peace of mind with this little hint: remove the transparent skin that covers them. This makes them much lighter and easier to digest. Another trick is to add kombu seaweed during their cooking. This algae – one of the most frequently used in natural health food alimentation – contains an acid (AC/ alginate) which can soften the fibers in all foods, and that is why it is often used with legumes. Its use reduces cooking time, enhances natural flavors and frees nutrients that increase digestibility and inhibit intestinal fermentation. This is a real natural cleansing that enables the elimination of toxins that are created inside the colon. A good dish of pasta and chickpeas, as well as being tasty, can be of great advantage for the heart and arteries, and is a key ally in maintaining good health.